A simulated gas processing plant has arrived in Port Moresby for use at the Kumul Petroleum Academy, an institution tasked with creating the next generation of oil and gas technicians in Papua New Guinea. The Kumul Petroleum Academy is funded by Kumul Petroleum Holdings Limited (KPHL) and the South Pacific Employment Institute (SPEI). Last year, KPHL gave K4.5 million to the academy when the first batch of students began their 18-month course. The aim, says SPEI Director and KPHL CEO, Wapu Sonk, is to build local capacity by training young Papua New Guineans in the country. They will then be capable of going straight into oil and gas operations. The academy is located at Idubada near Port Moresby. It also provides for the needs of industries like mining, palm oil and shipping. 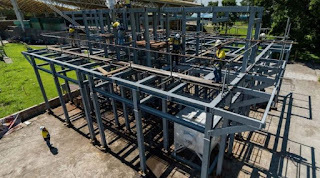 According to Sonk, the establishment of the Kumul Petroleum Academy will allow PNG to produce and supply an internationally certified and accredited workforce. The Live Gas Process Training Facility, or simulator, is the first of its kind in the Pacific region. It replicates a full-size gas processing plant, with live process systems, a centralised control room, emergency protection systems. It has an electrical distribution centre, which provides real-life training scenarios, and an assessment facility. The facility was built and operated by SPEI joint venture shareholder, Site Group International. The company already operates a similar process plant in Myanmar and large immersive training facilities in the Philippines, Indonesia and Australia. 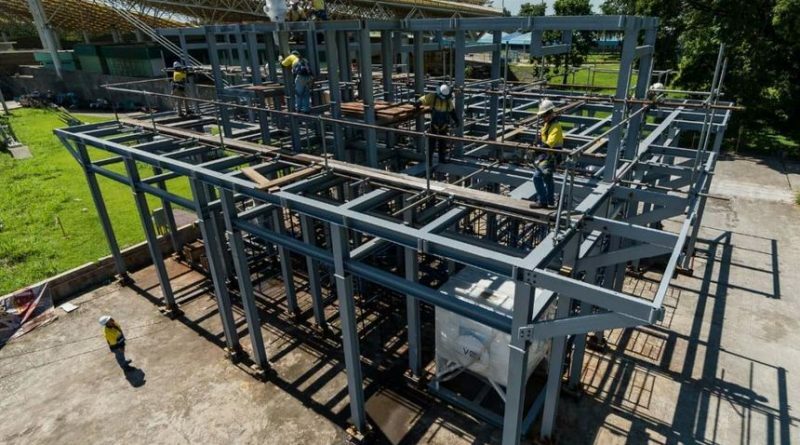 ‘We won’t have oil and gas going through the simulator, but we will have hot oil going through the system, so students can go through the processing stages, reading gauges, instrumentation, electronics, and running a control room,’ Sonk tells Business Advantage PNG. Sixteen of the 32 students were sent to the academy by ExxonMobil, which audited the syllabus, training program and the simulator operations, Sonk says. SPEI Chairman Isaac Lupari told Business Advantage PNG that the academy is focused on developing opportunities for Papua New Guinean youth. The existing workforce will participate in roles that would normally be out of reach and would require overseas training, at great expense and investment. ‘This training will now be provided in-country, which will put Papua New Guinea ahead of most of our Asia Pacific regional counterparts,’ he said. The students will also help build the simulator, which Sonk expects to be ready by September.